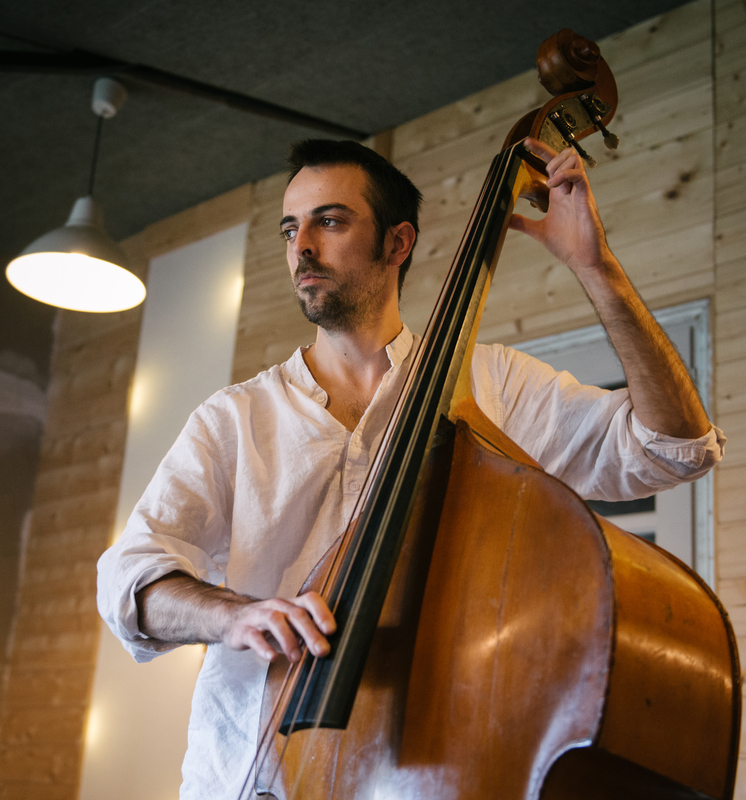 Bass and double bass player, Sylvain Didou is a composer based in Nantes (France). Graduated from Rennes (France) and Esbjerg Conservatory (Den-mark). He’s crossing genres from Improvised Music, Jazz to World music. He leads or co-leads Derby derby, The French-Danish band The Wøøøh, Oblik, Esperanto. He founded his own label « Ormo Records » and he is a member of the collective « Kreiz Breizh Akademi 5 ».